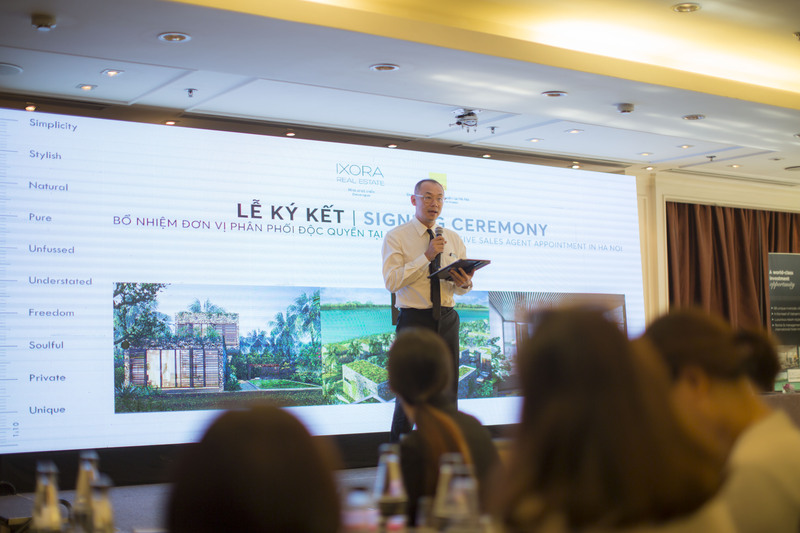 The X2 Hoi An Resort and Residence was officially introduced by Savills Vietnam, the My Viet JSC (MIVICO), and IXORA on July 12 in Hanoi. Located on the banks of the Co Co River in Dien Ban district in the ancient town of Hoi An in central Quang Nam province, X2 Hoi An is a hotel and villa complex invested by MIVICO and developed by IXORA. The first phase consisting of 35 villas is under construction, with a fully-furnished handover to come in the first quarter of 2019. Purchasers can choose from three and four-bedroom riverfront villas, three-bedroom river view homes, or two-bedroom pool view homes. All villas are designed with a large private swimming pool and a spacious common living area and are ideally located near amenities and family-friendly facilities. Mr. David Chang, Founder of IXORA, is committed to providing a high level of quality and aesthetics in products, which presents a valuable investment opportunity to purchasers. Inspired by the surrounding natural beauty, hand-selected designers created structures that blend seamlessly into the environment, with fresh greenery in the private gardens of each villa and organic and hydroponic gardens throughout the project. The design of X2 Hoi An is in harmony with the overall green architecture of the project and is also the “air conditioning” for the villas, ensuring a fresh and natural living space. X2 Hoi An also provides high-standard facilities such as an infinity swimming pool, a library, a spa, a nursing club, restaurants, bars, and an amusement park for children, providing a leisurely lifestyle and comfort. First flight on new route to take off from South Korean capital this evening, May 18. 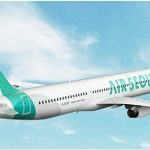 A new route connecting the South Korean capital of Seoul and the central coastal city of Da Nang will be launched by South Korean budget carrier Air Seoul from today, May 18. The first flight by Air Seoul, the budget unit of Asiana Airlines, to Da Nang will take off at 10.20pm on May 18, using 195-seat A321-200 aircraft, and arrive in Da Nang at 1:20am. The return flight departs at 2:20am on May 19 and arrives in Seoul at 9.15am (all local times).